Germany’s new Ambassador to Samoa, Gerhard Thiedemann, is optimistic about the prospects of the relationship between his country and Samoa. Among the priorities is a promise to help the Samoa and the Pacific countries combat climate change. In the country to present his credentials to the Head of State, His Highness Tui Atua Tupua Tamasese Efi (see story page 23), Mr. Thiedemann spoke to the Sunday Samoan about his country’s mission in Samoa. 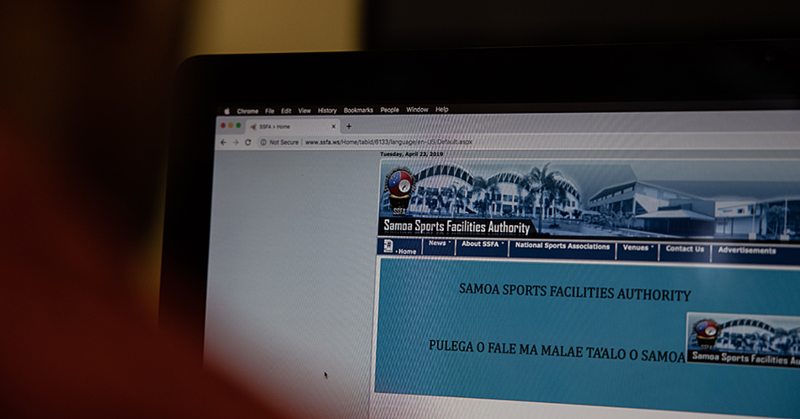 In terms of looking to the future, Mr. Thiedemann said the links between the two countries date back to the 19th Century when Germany ruled Samoa. “It is understood that this was seen by many people of that time as a positive encounter between the two nations,” said Mr. Thiedemann. 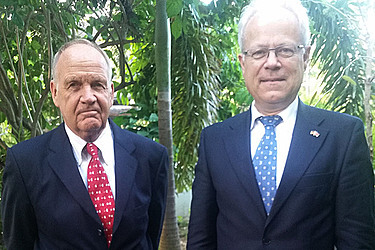 The Ambassador said Germany has deep enduring and long standing ties to the Pacific. Germany is vying to become a non-permanent member of the Security Council of the United Nations from 2019 – 2020. The Ambassador said his government is looking for allies to vote for Germany. “Germany could serve in the Security Council and that could be in the best interest of the Pacific Island states,” he said. Among the programmes financed by Germany are climate and biodiversity projects through its International Climate Initiative (I.K.I). The German Development agency (G.I.Z) is also assisting Pacific Island Forum member countries both bilaterally and in close collaboration with other institutions at regional level. The Ambassador said his ultimate goal is to contribute to the improvement of relationship between the countries the Pacific region and German by promoting exchange of people, ideas, students and trade. 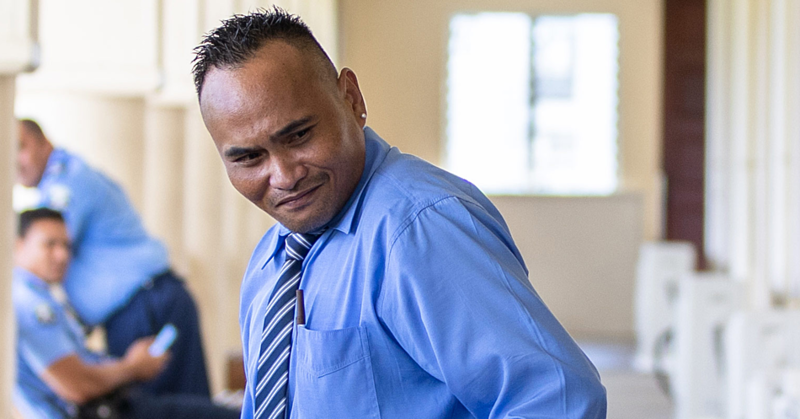 Mr. Thiedemann said there are about 30 German citizens in Samoa not including thousands who have blood connection to Germans. During his visit, the Ambassador visited the village of Falelatai to inspect a fisheries project. 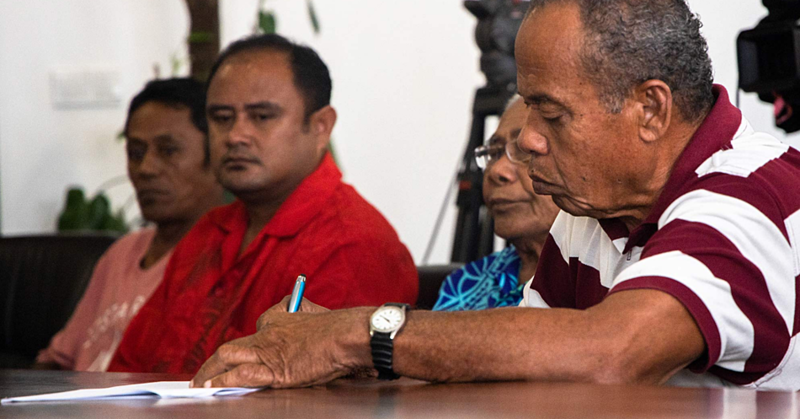 GIZ Program Director, Dr. Wulf Killman who is in charge of the Pacific Regional Adaptation Programme said assistance has been given to the Ministry of Agriculture and Fisheries to work with 16 fisheries community. At Falelatai, the project is vital. “They are basically ropes hanging on the water with bait down bottom that attracts fish to congregate,” said Dr. Killman. Other areas the government of Germany is working closely with Samoa include studies on coral bleaching, climate change projects and assessment of S.T.E.C plantation. Dr. Killman said the plantations from Faleolo to Apia will be converted into energy for a biomass project.